Today I was driving down the road when I saw a truck growing out of a bush. 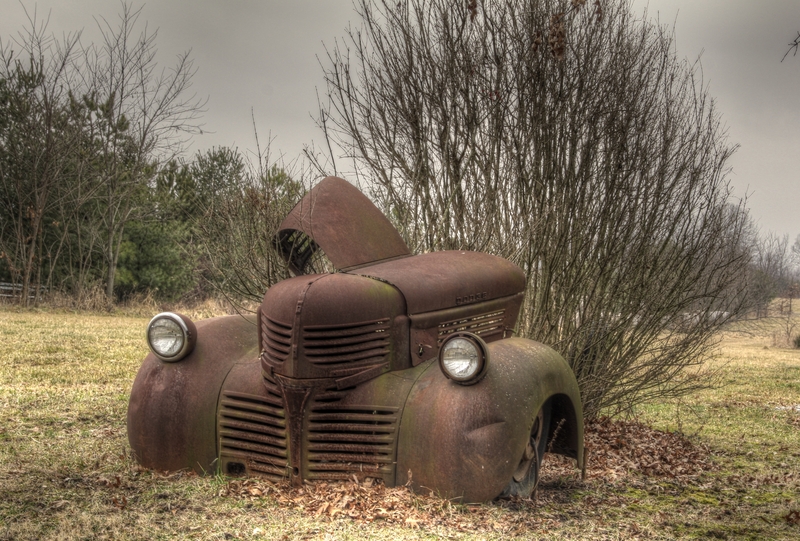 I really saw the front end of this old Dodge as I was driving down the road. It wasn’t until I got home and started post processing the photo that I noticed that it was coming out of the bush. Looking back I now realize that pulling out a bit would have helped by getting the entire bush into the picture. I still like the older vehicle although I still have not found one that really uses HDR to its maximum. That will come, but until then enjoy. I don’t think it matters that you didn’t get all the bush. There is enough of it there that it doesn’t really matter.